Copy Shapes from body unto clothes? I love the fact that Mgear has the copy skin feature. I’m wondering what’s the workflow If I add Shapes to my body, how do I transfer that to my clothes or eye brows which are separate Geo from my main mesh? I cant help but think there must be a way to do this that I don’t know of? Wrap deform your eyebrows to your head. 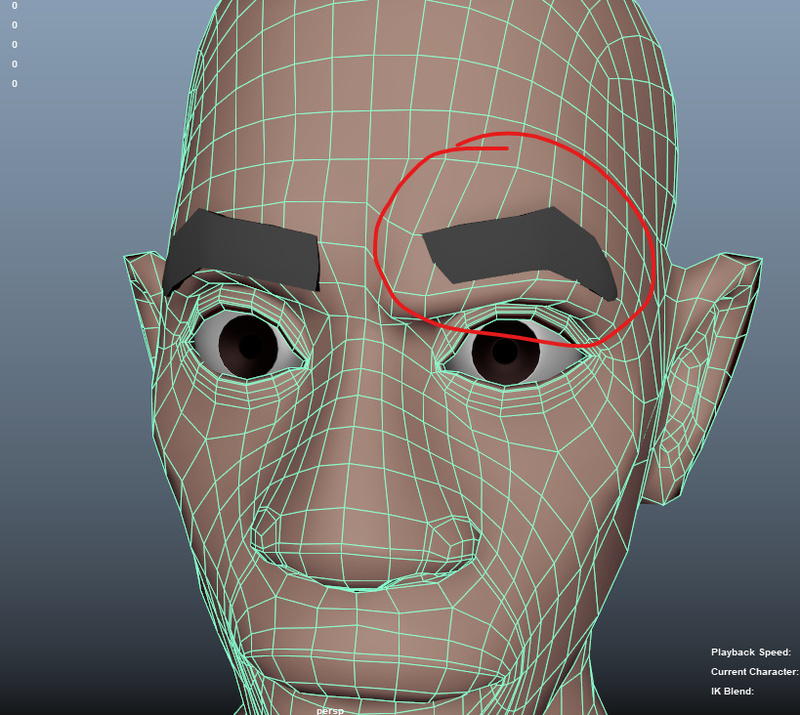 Turn on each blendshape on the head, one at a time, and duplicate the eyebrows. Use those duplicates as blendshapes. Here is a script I wrote that does step #2 for you. You’ll end up with a group of shapes with the same names as the blendshapes. # 3. Select the wrapped geometry you want to generate blendshapes for, and run this script. # Do NOT duplicate smoothed meshes! It can get very heavy! Thanks, awesome!. But the script only creates an empty group for me. Am I doing something wrong? Also, did you read the instructions inside the script? Yeah, I read and did everything, will send you a video when I get a chance. Are your blendshapes already connected to the controllers? The script tries to set them on and off again. If they are connected, they can’t do that, and it will just skip those shapes.